During the first week of January 2019, the Inside Africa program by CNN featured two Kenyan musicians: Olith Ratego and Ogoya Nengo. Although the program was captivating, it fell far short of the mark of excellence required for journalistic research. According to the program, the two artistes were discovered in their respective villages and their genres of music (Dodo and Ohangla) introduced to the world for the first time by Kenyan DJ Suraj and South African producer Emile Hoogenhout. The facts in the program were blatantly incorrect, as both artistes have been recording and are contracted to Ketebul Music since 2004; hence they are not the village- trapped musicians they were purported to be. Olith and Ogoya are among the most traveled artistes in Kenya through musical tours arranged by Ketebul Music, Jojo Records and Planet Rock (Berlin, Germany). The year 2005 saw Ogoya initial international exposure when she was introduced by Ketebul Music to Opiyo Okach, a Kenyan mime dancer based in Montpellier (France). The two paired up that same year and extensively toured continental Europe, South Africa and Brazil. Furthermore, viewers of the program were made to believe that the two musicians were being introduced to electronic music for the first time by the two DJs. That impression was false since both Olith and Ogoya have previously recorded experimental electro-dance music with Ketebul Music back in 2004, under music producer Gabriel Omondi. It is therefore imperative that Suraj and Emile should conduct due diligence as to who the holders of the copyright are, before sampling their musical works. 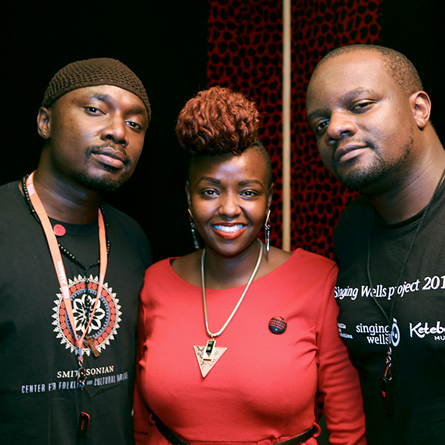 Ogoya and Olith have also worked with German musicians Stefan Schneider and Sven Kacirek on a project titled; The Kenya Sessions, released on Pingipung label on 7 July 2011. This musical endeavor featured in The New York Times edition of 22 March 2011 on the subject: Next generation of partnerships between Western labels and African artists. Presently, Olith and Sven are working on an electronic album, Odd Okoddo, to be released later this year; not to mention his recording with No-Nation, an independent record label based in the UK. In 2009, ‘Matatu’ by Ogoya, produced by Ketebul Music was featured on the French label Marabi Africa vol. 2, and another of her songs ‘S.M. Otieno’ was part of a compilation put together by the Norwegian label Kirkelig Kulturverksted. The producers of Inside Africa gullibly took it that the talking head on the program was an authority in the musical genres of the Luo people of Western Kenya. The illusion created is highly disingenuous because Mwalimu Greg Tendwa, although a music enthusiast and DJ is not an expert on traditional music of that region. CNN was further duped its viewers into believing that they were making news by being the first to record in Ogoya’s homestead. To the contrary, Ketebul Music and its partners Abubilla Music Foundation, through the Singing Wells program, visited the village on 28 November 2011 and recorded Olith and Ogoya with their percussionist Oloo Maombo, at the very same location. Olith and Ogoya admitted that they were not fully aware of what they were being interviewed for and, as neither is fluent in English, there was obviously a communication breakdown given that their management team at Ketebul Music were kept in the dark. Ketebul Music appreciates efforts by CNN and would like to encourage other international media platforms who are interested in supporting and promoting all forms of Kenyan music to do so. However, credibility is the hallmark of journalism. 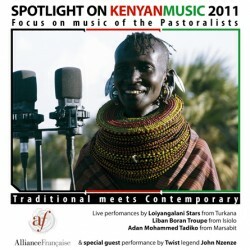 Therefore, a respected network such as CNN ought to have consulted an ethno-musicologist with the requisite knowledge of the landscape of Kenya’s diverse music traditions before broadcasting that episode of Inside Africa. THE CALL FOR APPLICATIONS FOR VISA FOR MUSIC 2017 IS NOW OPEN! The call for applications for the 4th edition of Visa For Music is now open! 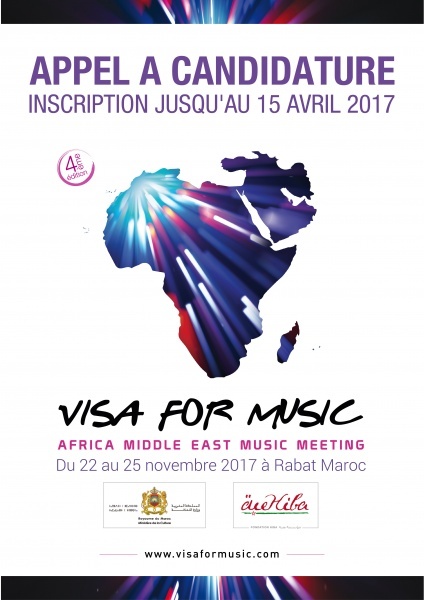 This year, the professional music market for African and Middle-Eastern music will be held 22-25 November 2017 in Rabat, Morocco. Artists and bands have the possibility to apply to have the chance of being selected and perform in front of thousands of music professionals who come to the Kingdom’s capital to discover the talents of our territories. Everyone can apply including those who applied for previous editions and were not selected. The call for applications for the showcase program is open until April 15, 2017. After the call for application has closed, 30 artists or bands will be selected by a qualified jury of music industry professionals who represent different musical aesthetics and the concerned regions (West Africa, East Africa, Portuguese-speaking Africa, North Africa, Middle East). To ensure diversity in the selection of the artists programmed for Visa For Music, jurors come from diverse horizons. In our quest to retrace the origins and development of popular music in Kenya over the past fifty years, we have been conducting interviews with individuals who have contributed significantly to the music scene over the years. Events, venues and spaces that offer platforms for this music to reach audiences, play a major role in this development. In this regard, it was only right that we spoke to the songwriter, poet and social entrepreneur ‘Muthoni The Drummer Queen,’ to get her insight on Blankets & Wine – the picnic styled music festival that she initiated in November 2008. 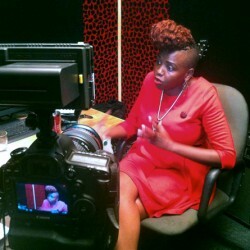 We caught up with her at Blinky Bill’s studio during one of her recording sessions. MDQ as she is popularly known shared with us among other issues, the struggles of balancing her own music career with the rigorous demands of putting up the event on a monthly basis. Blankets & Wine dwelt on multicultural collaborations with a mix of contemporary traditional music to urban genres. The success of the festival led it to be a much sought after venue by international artists from all across the world. The event expanded into Kampala in 2013, seeking to reach a wider East African audience. With an aim to redefine its objectives, Blankets and Wine has developed to cater for all art lovers with the introduction of visual arts, a writers’ stage and a DJ stage among others. For more on Blankets & Wine and other like events that have helped shape the popular music scene in Kenya, we urge you to stay tuned and watch out for the release of – Benga: Evolution of Kenya’s Popular Music! 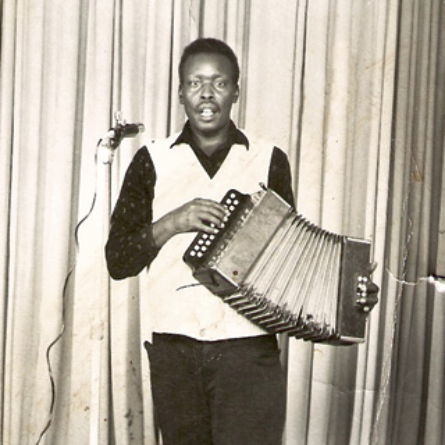 During our recent concluded and published research on Benga and Kikuyu popular music we noted the remarkable influence of the accordion on East African Music of the 60’s and the 70’s. Accordionists shaped the successive development of music genres such as Benga and Mwomboko during the ‘accordion golden age’ in East Africa. The veteran master players of the accordion comprised of World War 2 returnees and Christian missionaries. The returnees passed down the culture to the second generation artists (sons and friends) who at the same time were caught up with the popularity of new acoustic sounds such as the keyboard and synthetic sounds made in modern studios. 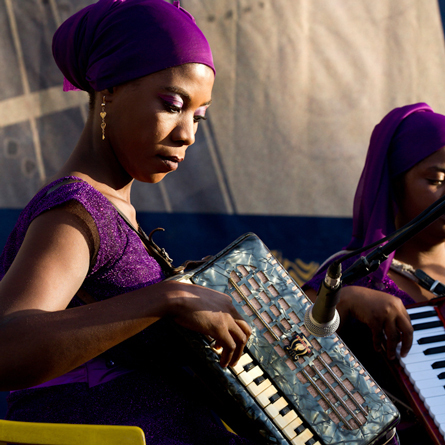 The use of the accordion has since declined with minimal traces of its use in East Africa. Although it is used extensively in Taarab music in Zanzibar, very few musicians still incorporate it in their repertoire in Kenya and Uganda. Ketebul Music has identified this gap and has organized a comparative master class in African music that will endeavor to revive the use of the accordion in East African music. 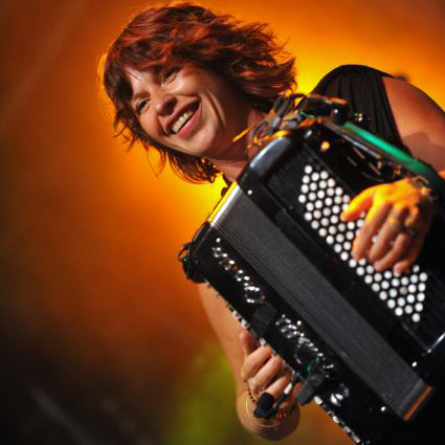 The five-day residential master class will comprise of a creative workshop for East African artistes drawn from Kenya, Zanzibar and Uganda and facilitated by Viviane Arnoux, an expert accordionists from France. 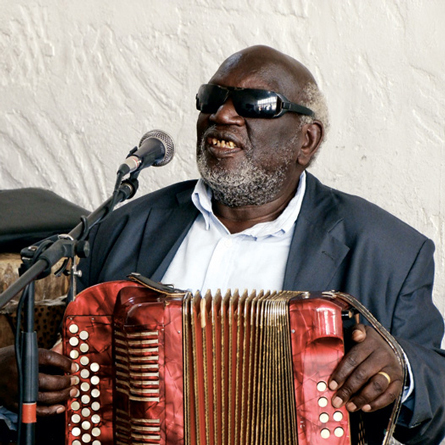 Our research has shown that accordion playing is popular in France (Mussette) and the African participants will highly benefit from the European discourse (origin of folk accordion music). 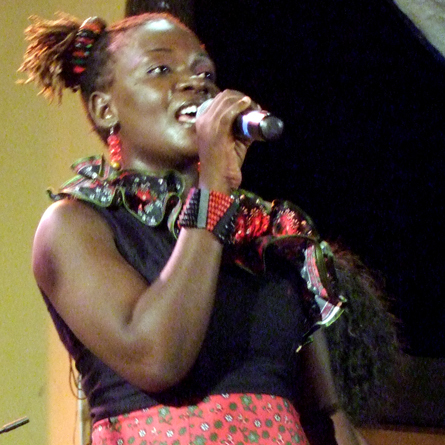 Mombasa based Kenyan singer Nyota Ndogo, will also take part in the creative workshop. 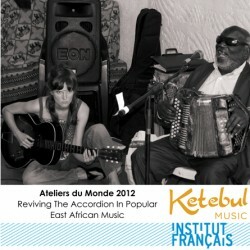 The masterclass and workshop will be held at the Alliane Francaise de Nairobi from the 20th to the 24th of August. 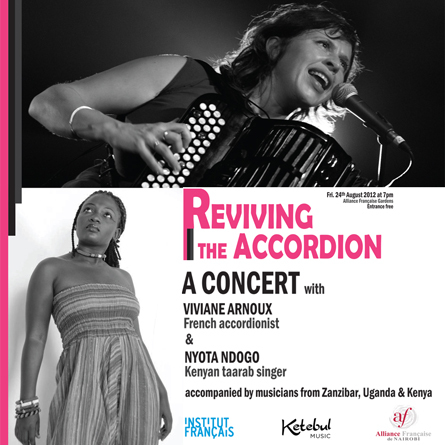 As part of the creative workshop the artists will present their new creations at a musical concert dubbed ‘Reviving the Accordion’ to be held at Alliance de Française de Nairobi on the 24th of August 2012. This project is funded by the Institut Francais as part of their Ateliers Du Monde 2012 programme, and supported by the Allince Francaise de nairobi and Brussels Airlines. Loiyangalani Stars: On stage this Friday. Loiyangalani Stars from Turkana have spent the better part of last week rehearsing at Alliance Francaise de Nairobi, in preparation for their performance this Friday at the Alliance Francaise gardens. This will be a must see performance guaging from their morale and excitement. The group consisting of Longori Ewoi, Rosa Epezo, Atiliph Ekoit, Akolong Nyang’ayo, Fransisco Nyang’ayo, Lomkuny Lowale, and Mekelita Lenapir, has also been recording music at Ketebul Studios. After the intense two weeks and the Friday performance, the group will depart on Saturday morning for the long and gruelling journey back to Loiyangalani, Turkana. Ketebul Music hopes that the performance by Loiyangalani Stars will remind us all of our fellow country men suffering on the brink of starvation in Turkana.